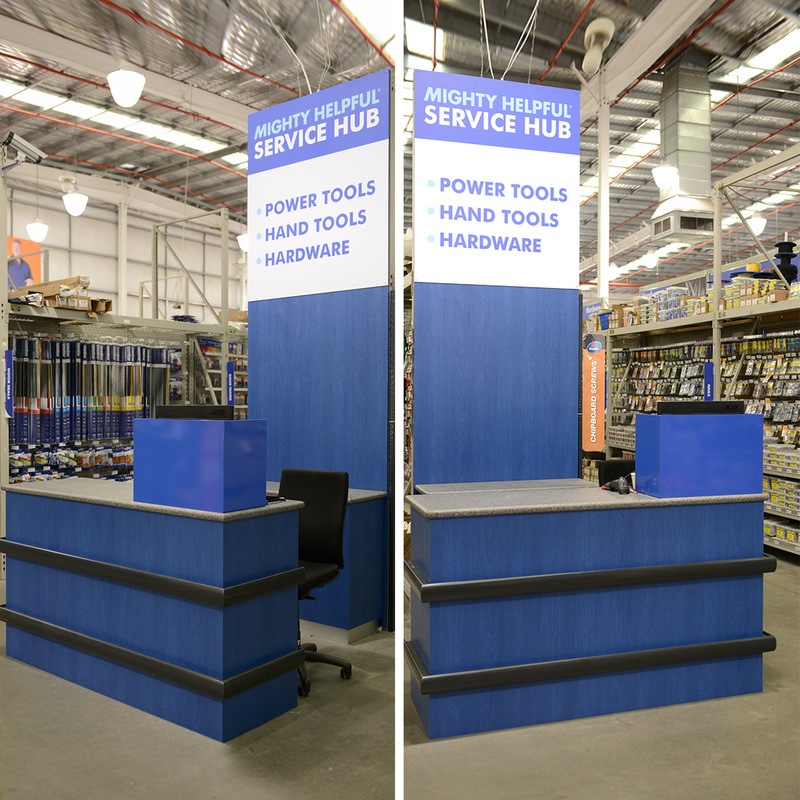 Flagship Sapphire Store needed quality joinery to set this hardware store into a renovator’s delight. 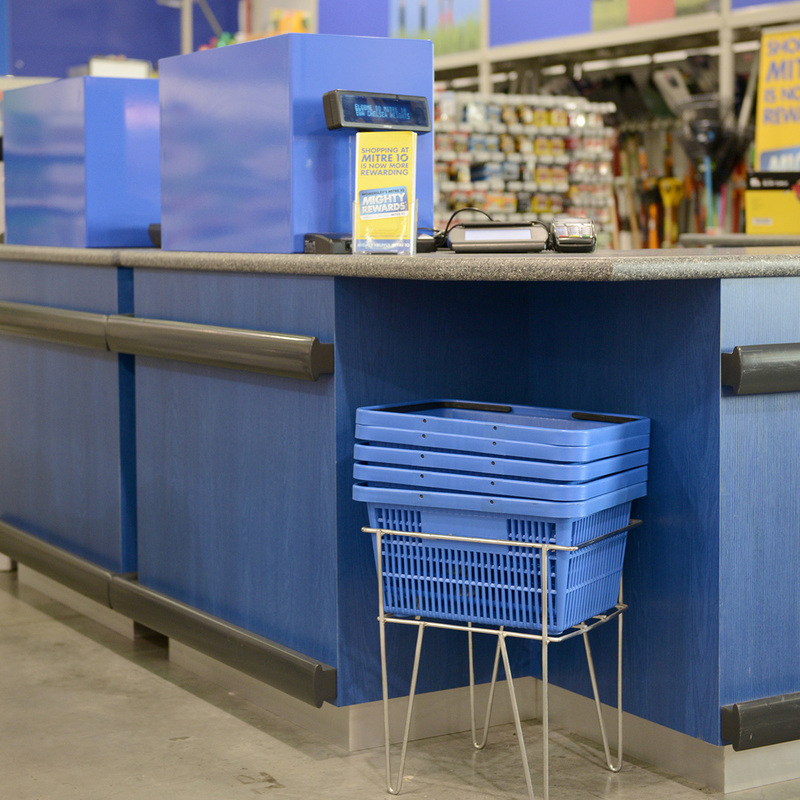 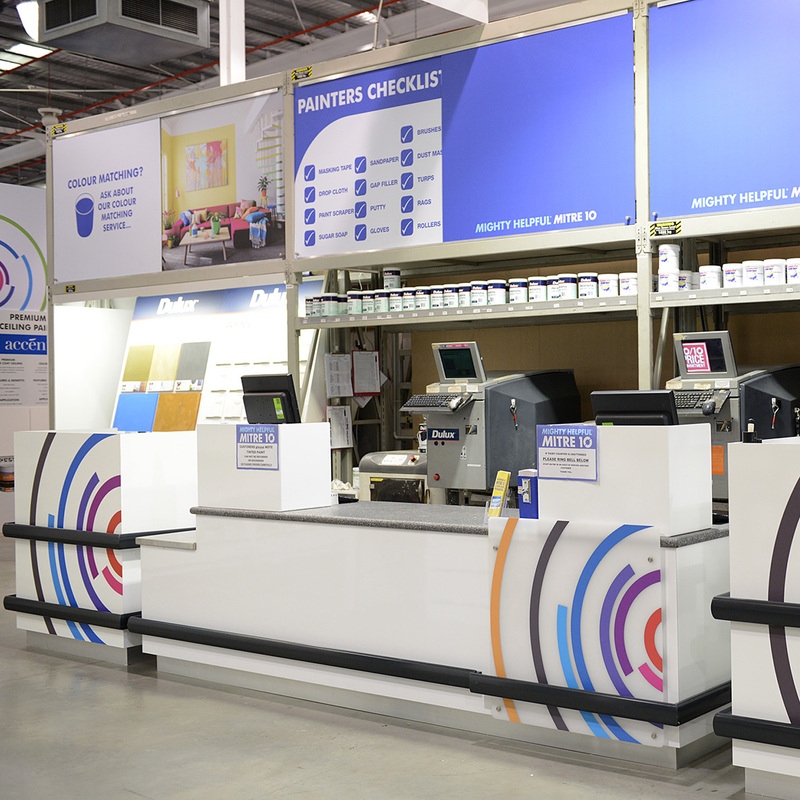 New custom made front end checkout counters, customer service reception area, category service hubs, credenza end panelling all featuring designer laminate finishes and welded wrapped vinyl bench tops. 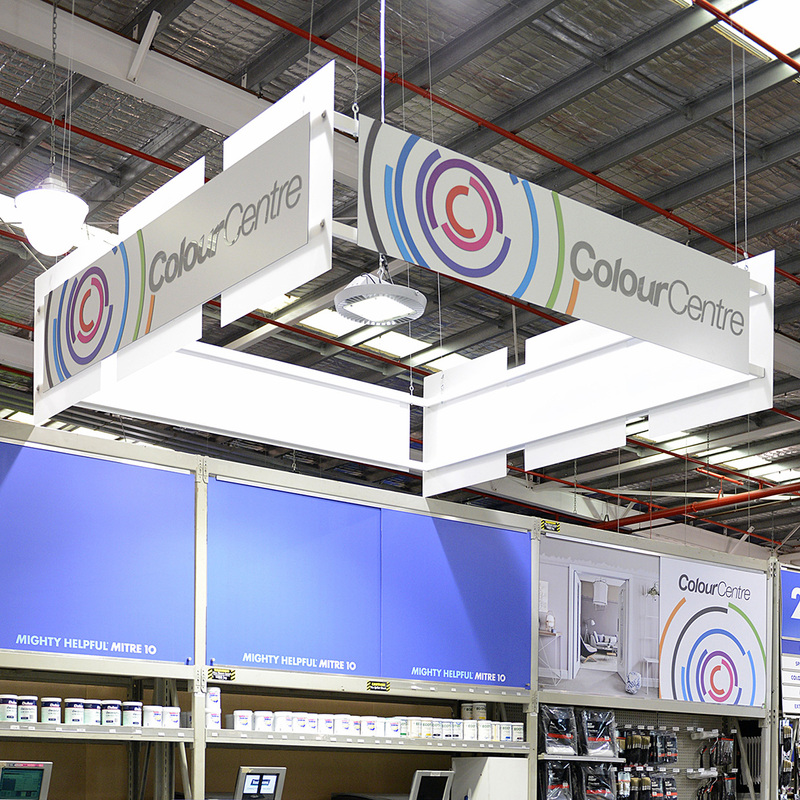 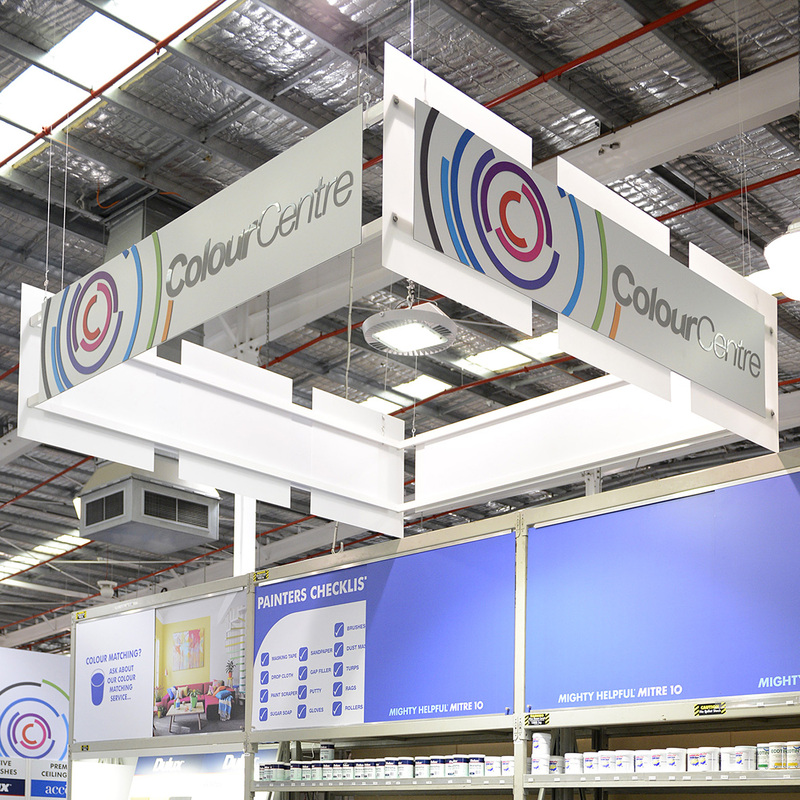 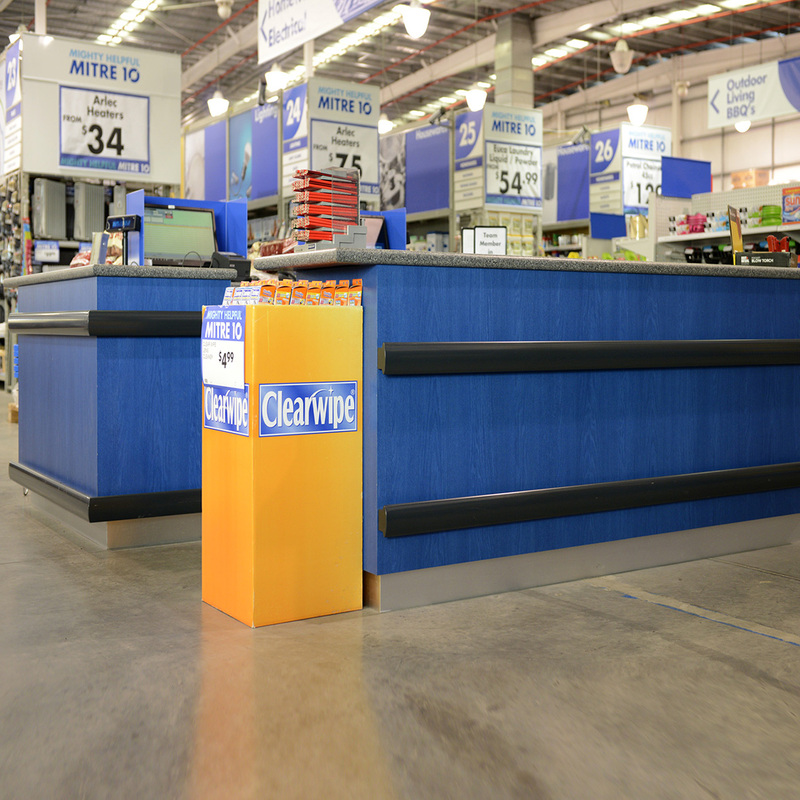 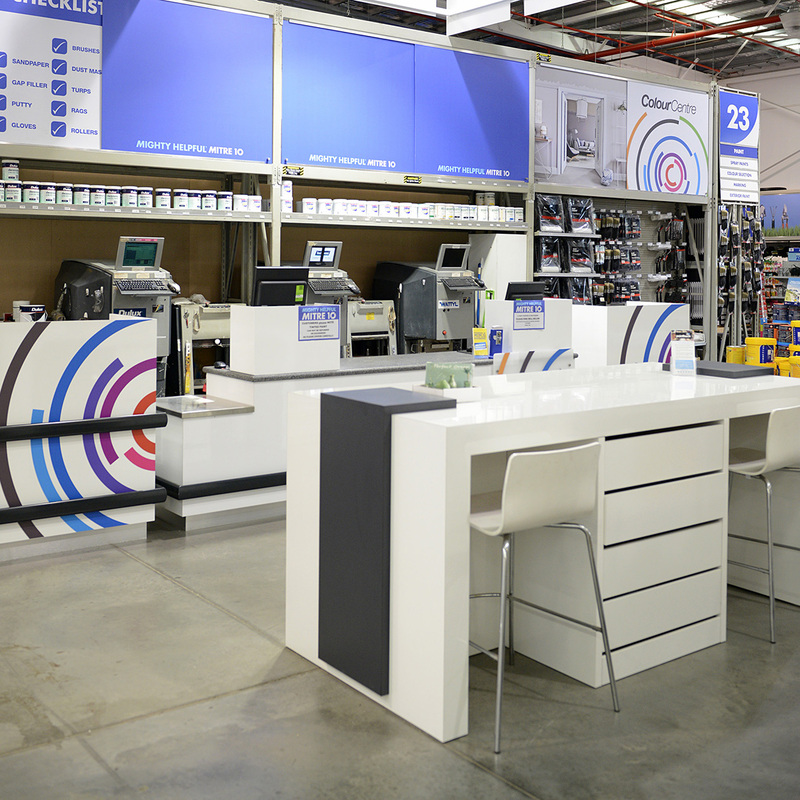 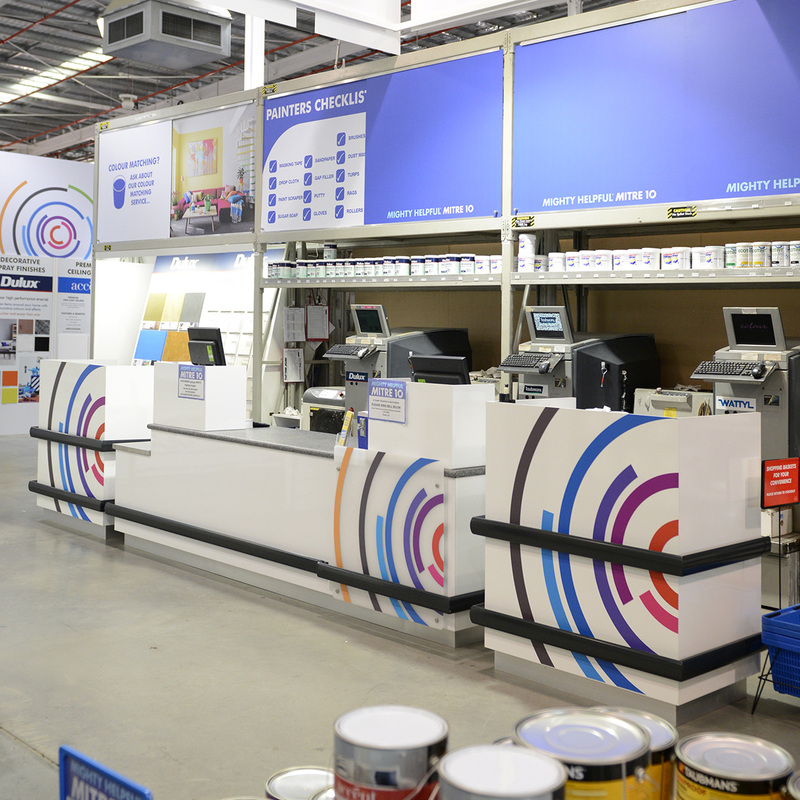 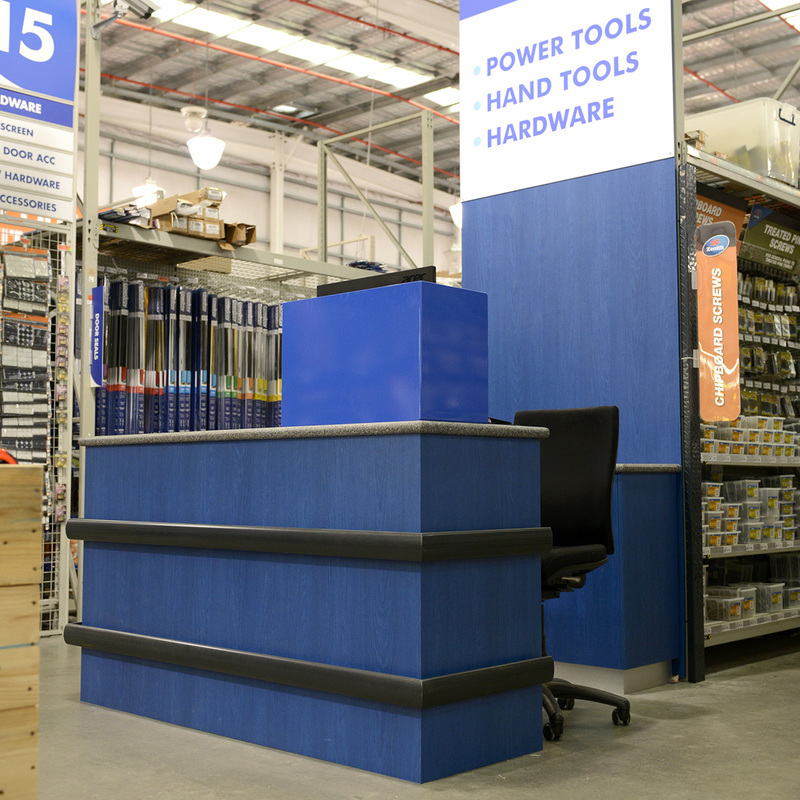 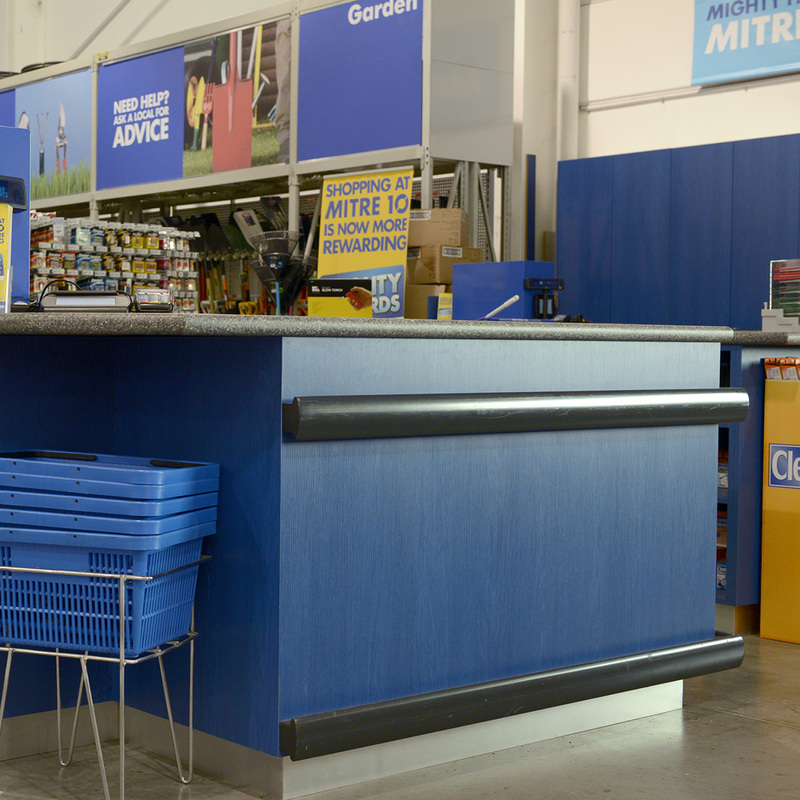 Our benchmark custom paint counter with overhead paint sign as seen in multiple M10 stores nationally featured two new additional service hobs in this configuration. 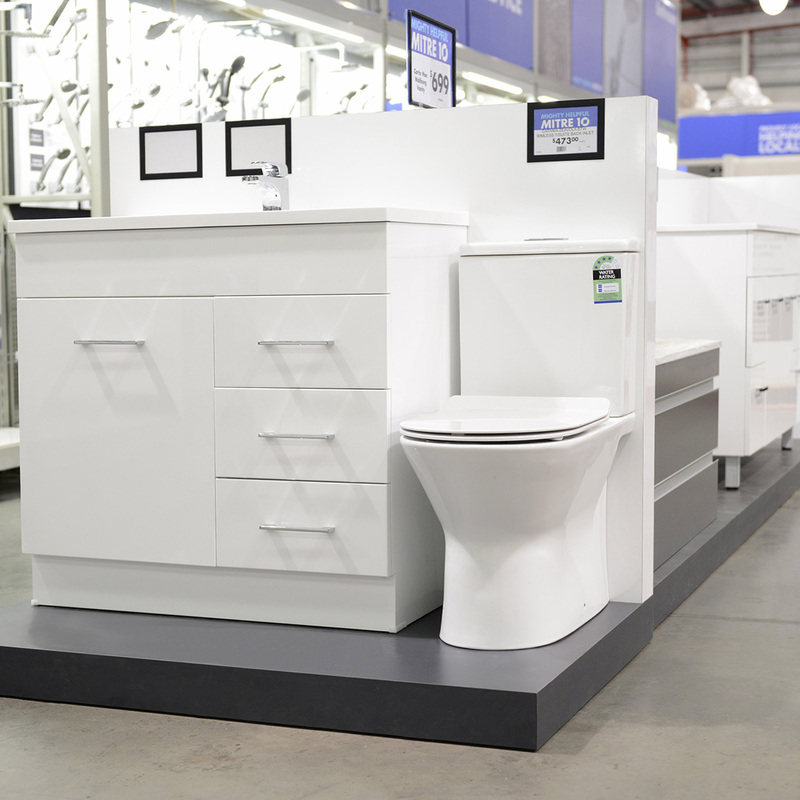 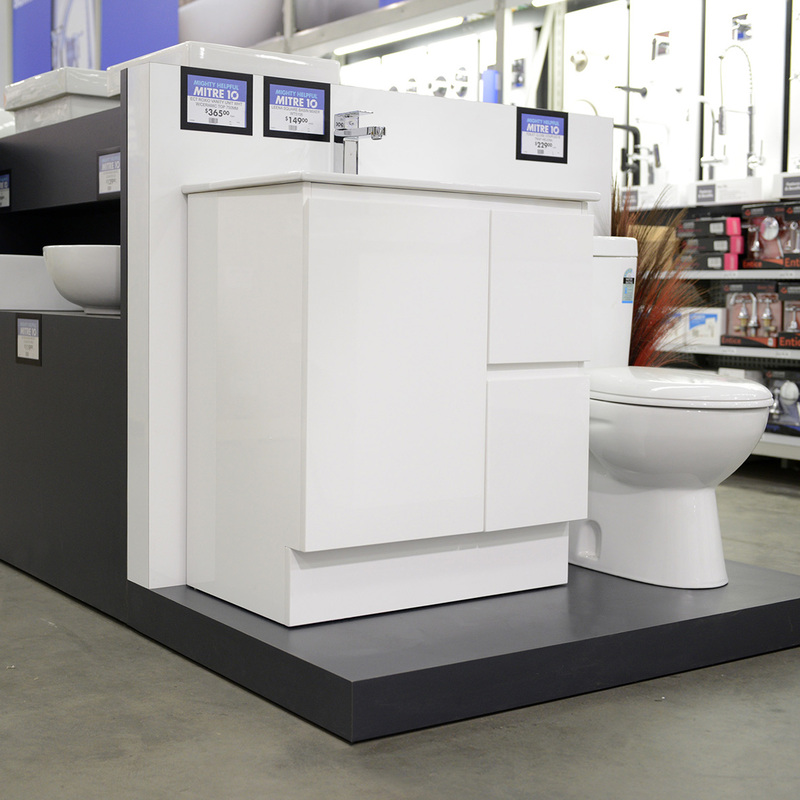 We even reengineered the existing plumbing display design to create a seamless modular POS unit. 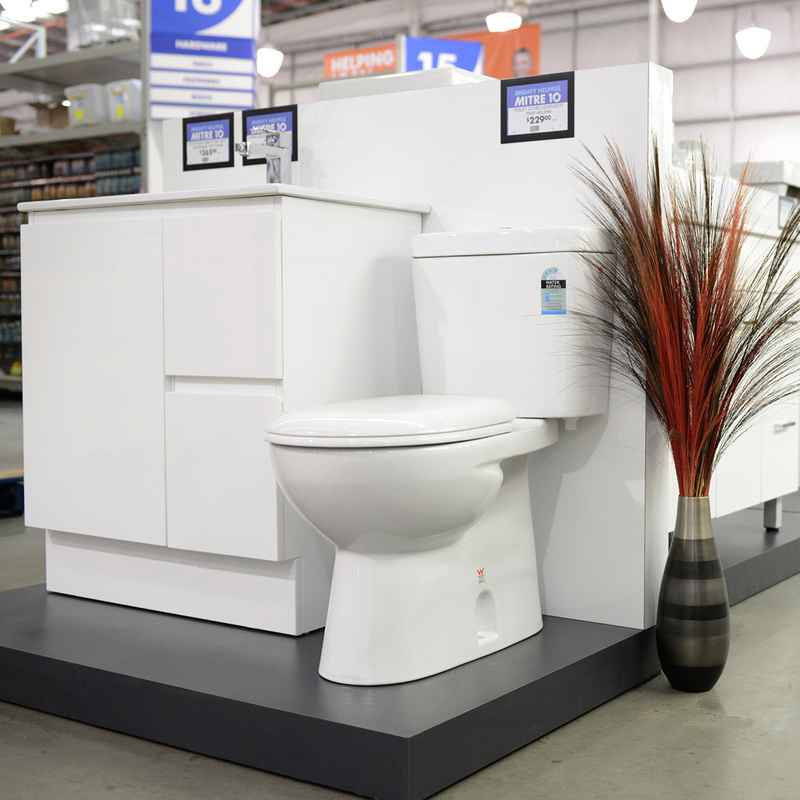 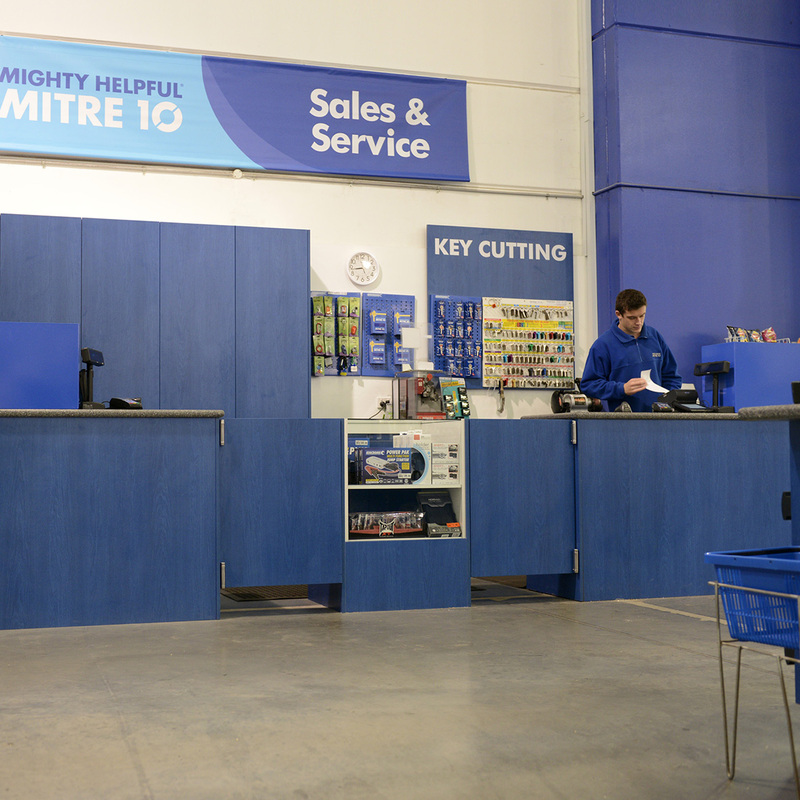 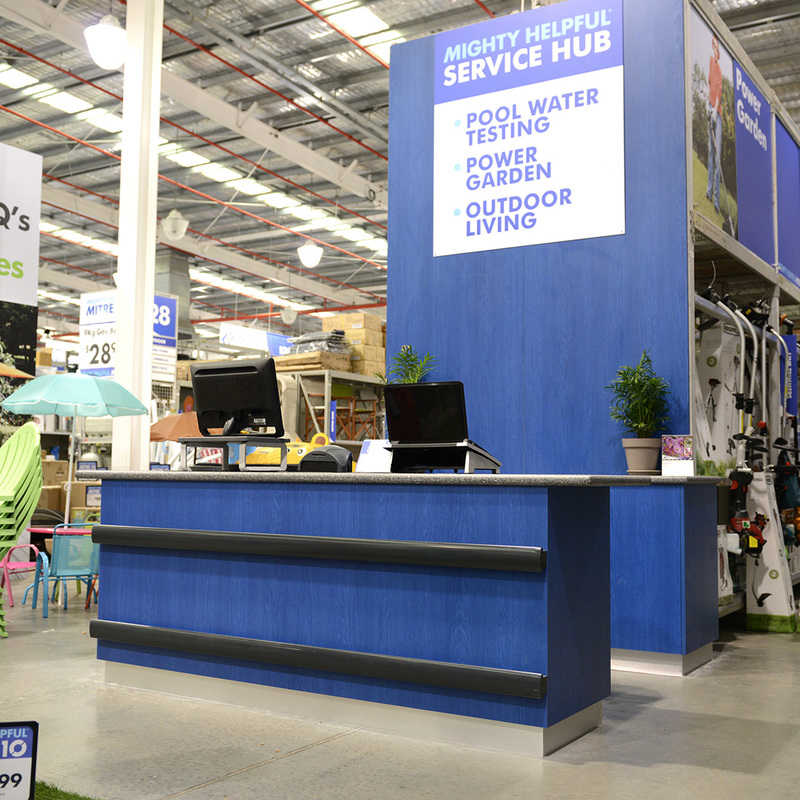 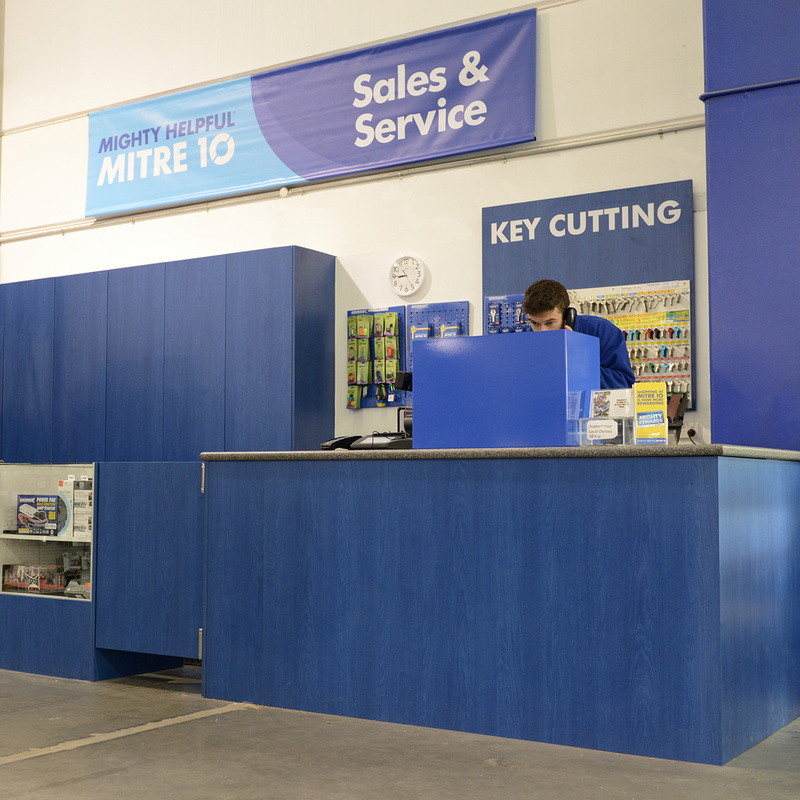 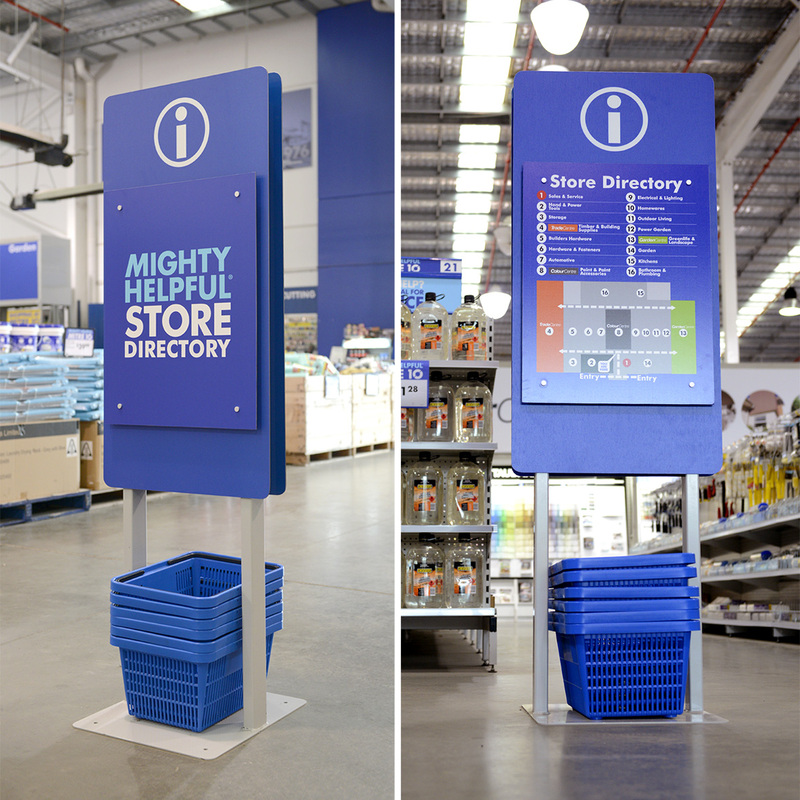 A new standard in hardware fit outs for Mitre 10.